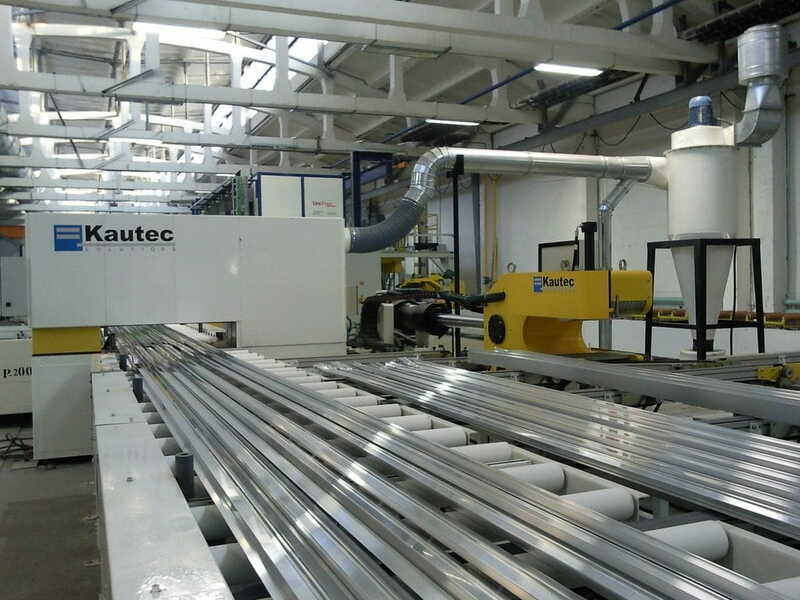 The profile saw has the function of cutting the extracted profile in predefined sections, ready for the ageing process, packaging and dispatch. The frame and the carriage are made with the precision of a machine tool, the parallelism between the blade and the carriage is adjusted with an accuracy of 0.1 mm. The precision of the cut is guaranteed by the blocking of the profiles, which prevents deformation and also, by the advance of the blade with an adjustable speed. Equal care was taken in the design and production of the chip suction system, which uses a cyclone machine. The lubrication is designed to involve only the teeth of the blade, thus avoiding the possible contamination of the profile, while the maximum operative efficiency is maintained.